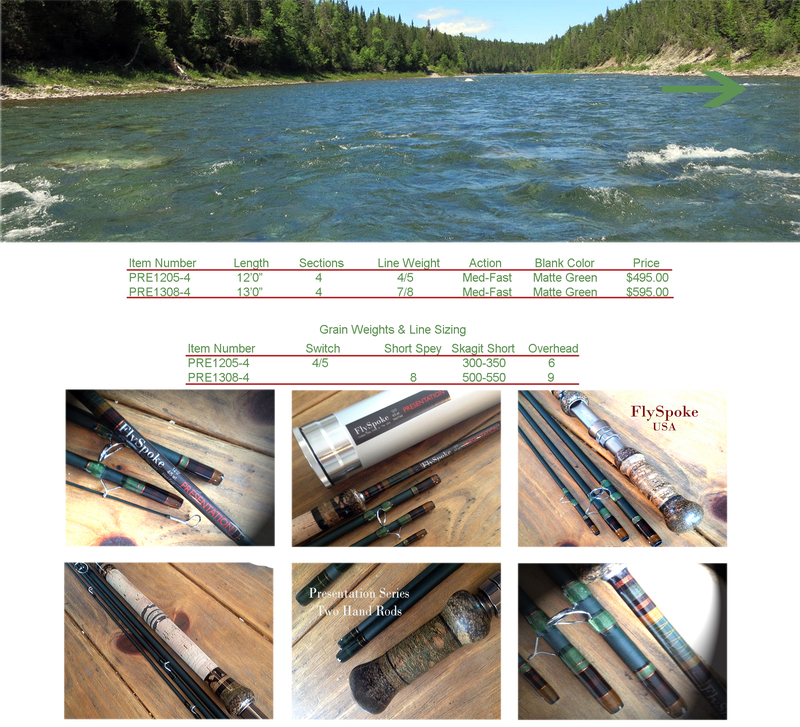 These two rods are directly to the point of perfect efficiency to swing for Trout, Atlantic Salmon and Steelhead. These are deep bending and very powerful progressive taper rods that will handle a number of lines very well. They do represent something special in how they will load. Somewhat slower and very smooth when matched with a pulling fulcrum style cast. They are not tip power blanks but full length bending tools. It becomes obvious the moment you make a cast with the line being pulled rather than pushed.